My littlest baby turned 4! How did that happen? She’s supposed to still be sleeping in a crib and blowing raspberries, not making her own decisions and saying things to me like “What’s taking so long? !” She’s a sassy one, and I love it. I’m sure I’ll feel different once the teens hit, but for now it makes me snicker. 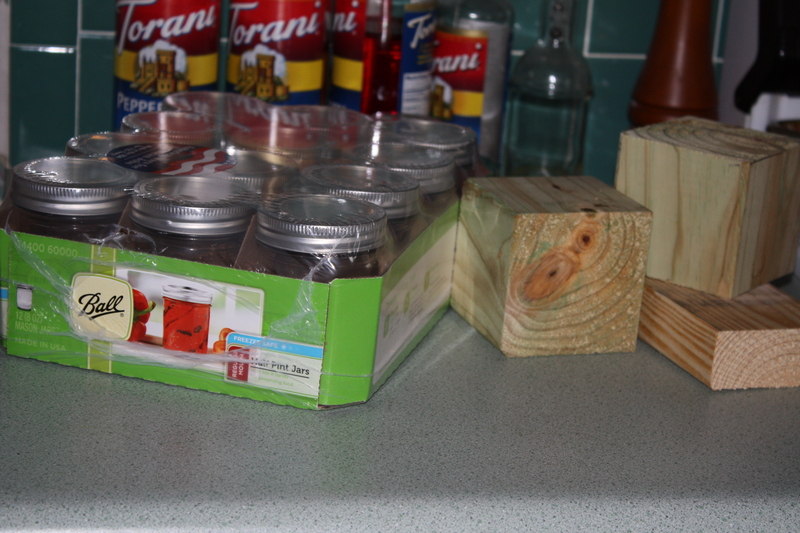 Two weeks ago I had a four year old party to plan, a craft idea in mind and a plum preserve I wanted to try out. I like to try to buy new fruits for my family to try, they’re usually pretty adventurous when it comes to fruit. The grocery store had these little Italian prune plums which they called Sugar Plums. I brought them home and they sat there, my kids just do not like plums for some reason. While perusing the Punk Domestics website I stumbled across a recipe for the very plums that were languishing in my fridge. 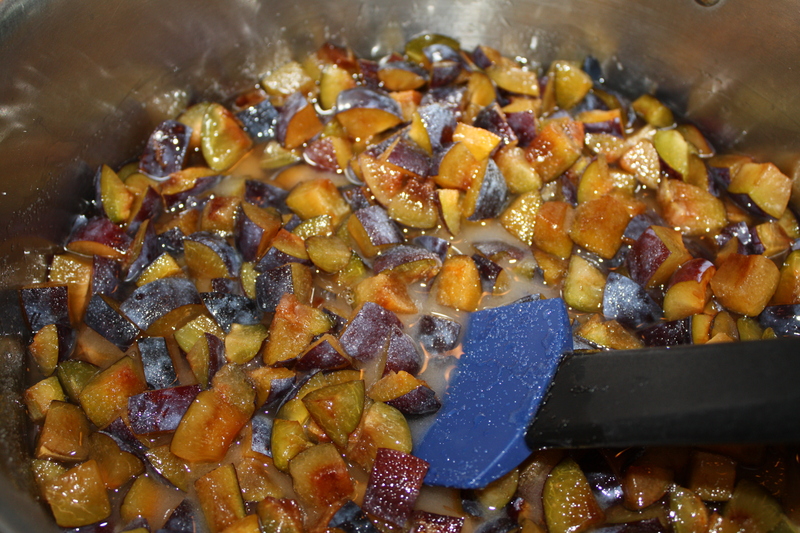 The recipe comes from the Three Clever Sisters blog site and the recipe is here Italian Prune Plum Jam. Lots of chopping, stirring, heating, boiling, and processing later I got seven jars of a lovely plum preserve. I don’t know if I cut the fruit a little big but my jam has a lot of chunks of fruit so it seems like more of a preserve than a jam. 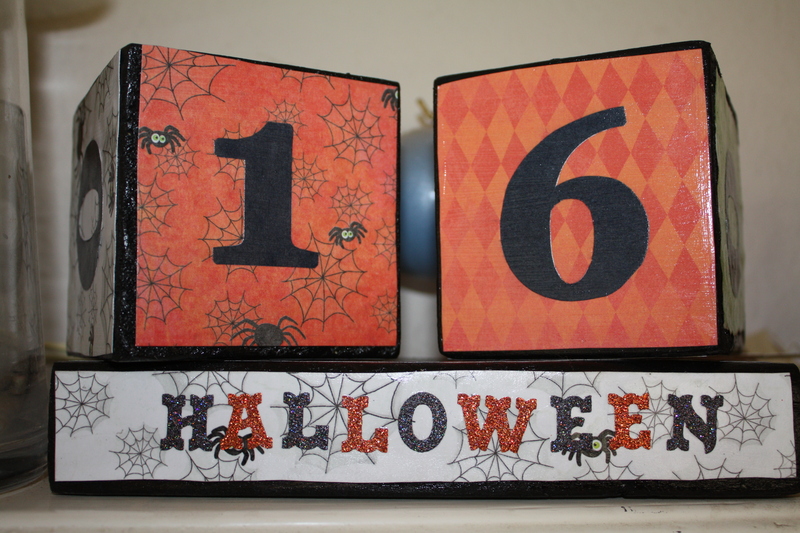 I turned my blocks into a Halloween countdown for the kids. They like turning the blocks in the morning and I don’t have to tell them every 20 minutes how many days are left till trick or treating. This was not my own idea, there are several sites online that give directions for the project, as well as several etsy shops that sell them. I am pleased though with how they turned out. I made a second set for my sister and I liked hers even better, but that’s usually how it goes with a new endeavor. This Christmas I will make another set for myself, with a more of a clue this time as this was my first foray in Mod Podge. Now to catch up with that mountain of laundry. 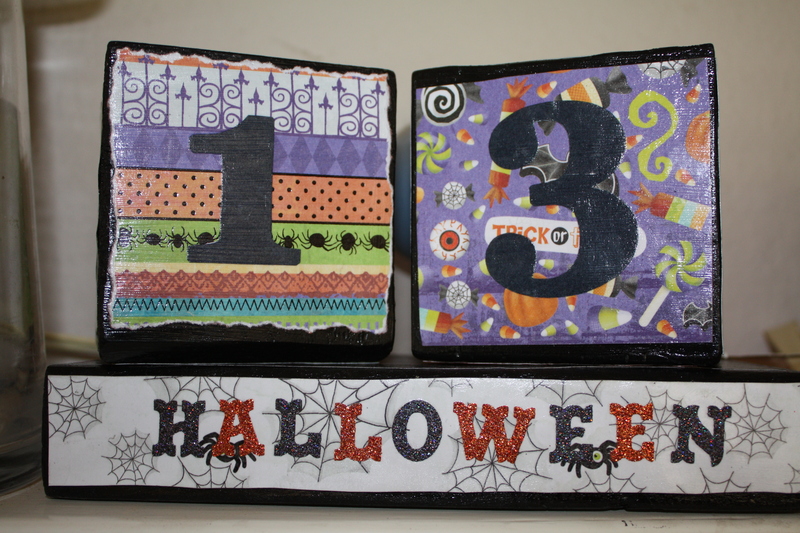 This entry was posted in Canning, Crafts, Parenting, Preserving and tagged blocks, canning, countdown, crafts, halloween, preserves, recipes. Bookmark the permalink. Hi, glad to see this recipe was useful. I wish I made more myself! Thank you for sharing it. 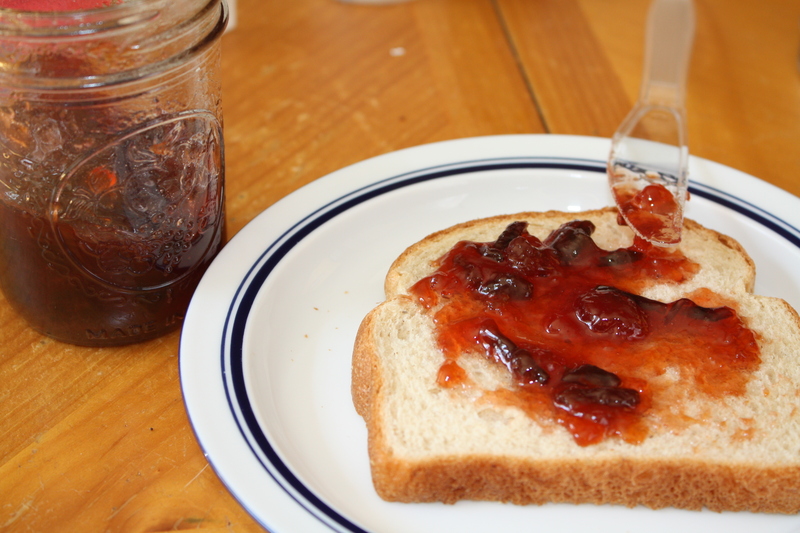 I am so new to canning and preserving it was exciting to see a recipe that goes beyond grape jelly and strawberry jam with a fruit that I actually had on hand. Thank you! I’m glad you liked it. I want to get the canning thing down perfectly, then start experimenting with low-sugar recipes.